Many thanks as always to those who sent me books for review. 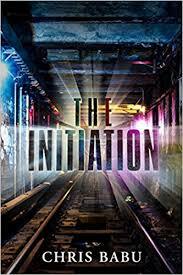 The Initiation by Chris Babu - I'm a sucker for YA dystopian novels, so I'm looking for this. Nemo Rising by C. Courtney Joyner - I don't believe I've ever read 20,000 Leagues Under the Sea, looks like I'll have to rectify that, as this sounds interesting (I have seen the Disney film, but we all know how adaptations go). 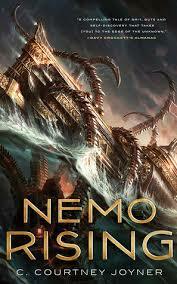 An exciting sequel to the Captain Nemo adventures enjoyed by millions in Jules Verne's 20,000 Leagues Under the Sea. 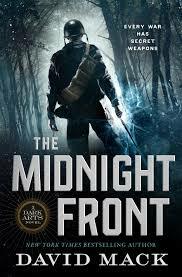 The Midnight Front by David Mack - WWII and magic. What more do you need to know? I like a good dystopian novel as well! I'll be looking for Babu's book too. Right now I am reading a hilarious sci fi series by Mark Speed called Doctor How. It's a play on Doctor Who by the BBC, and it's so clever. A great series, http://markspeed.co.uk/ for the info on it. Unfortunately I started reading THE INITIATION and it didn't work for me. I'd try reading the first chapter on Amazon when it's out and see if you like it.